This book focuses on two kinds of emulsifiers. In the first chapter, surfactant and antioxidant properties of fatty acid esters synthesized through lipase-catalyzed condensation with various hydrophilic compounds is explored. In the second chapter, the impact of combined emulsifier on crystallization properties of non-trans fat is discussed. 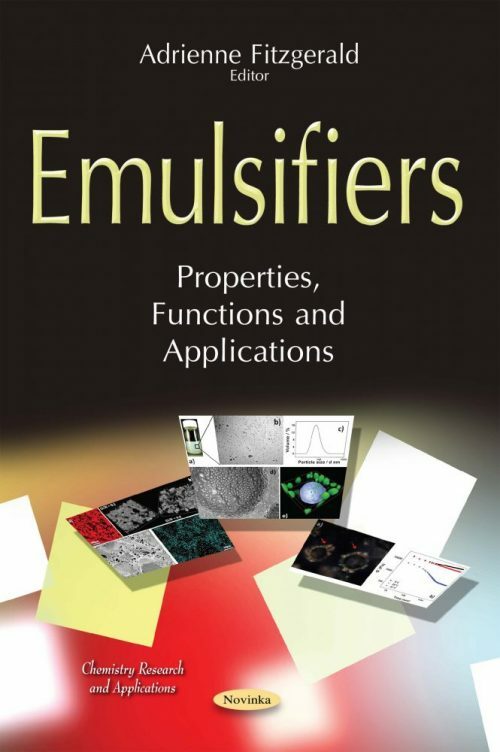 The third chapter provides a brief account of emulsifiers/stabilizers and their role in stabilizing complex colloid systems such as foamed emulsions, structured emulsions and bigels with the the help of illustrative examples. The last chapter of the book explores lecithin, modified lecithins, polyglycerol polyricinioleate and sorbitan monostearate emulsifiers widely used in the food industry.